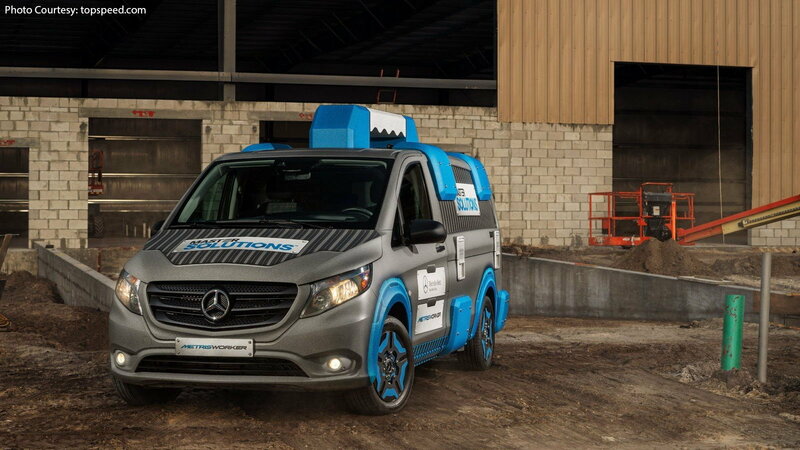 If you're a blue-collar worker of any sort, this Mercedes-Benz concept may just be for you. 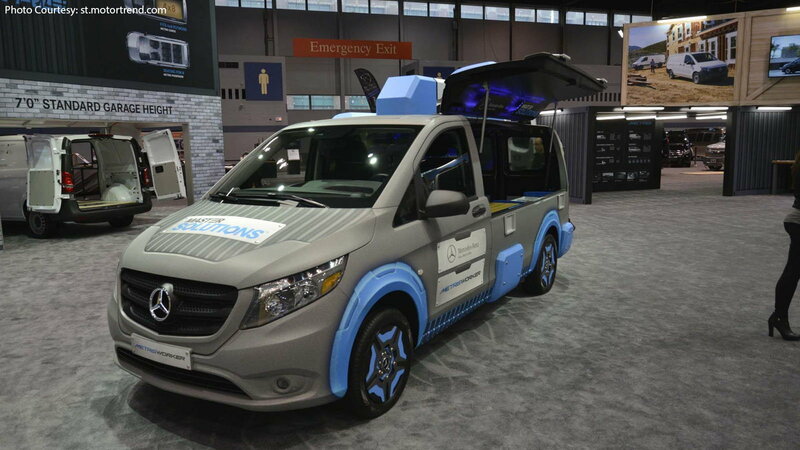 The Metris MasterSolutions Mercedes-Benz was introduced as a concept at the 2017 Chicago Auto Show. 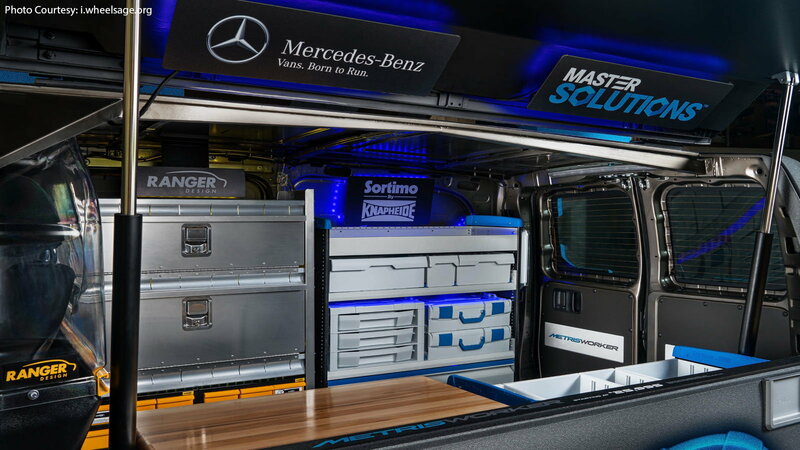 Since the Mercedes-Benz has been dominating the market over vans like the Econoline, the Germans decided to kick it up a notch for anyone in need of a giant toolbox. >>Join the conversation about the Metris MasterSolutions Toolbox right here in the forum. This van is designed as a giant toolbox, with everything you would find in a toolbox, down to the top handle. Whether you're a mobile mechanic or a construction worker, this van has all the right storage areas for everything you may need, regardless of its size. 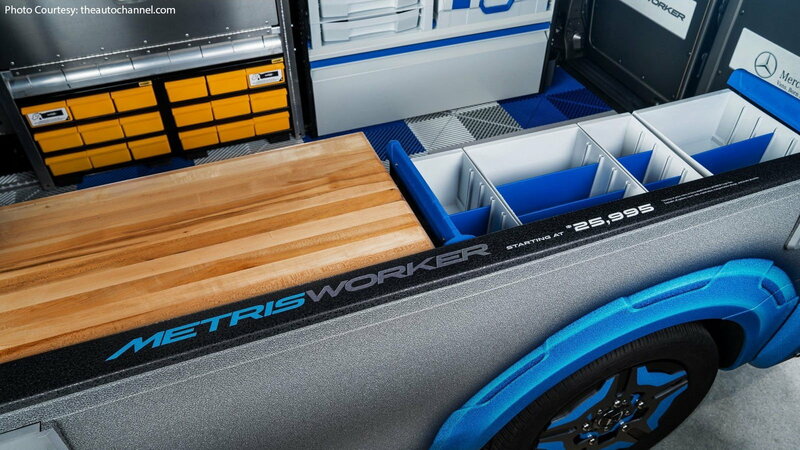 On the driver's side, the whole side flips out, revealing storage for small tools, as well as a small wooden work bench. However, the flip-up side isn't offered for customers. In this concept, the van can be used from the side, or from the inside of a complete work van. 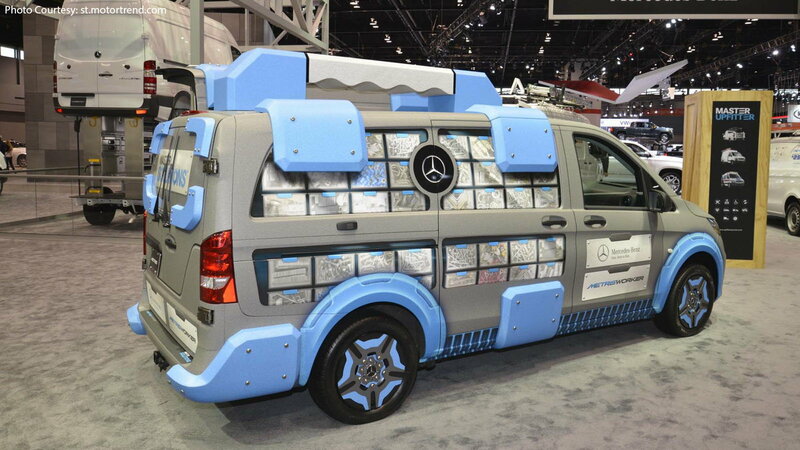 The MB concept van was built by RENNtech, which is a company that is known to tune AMGs. On the inside, there is enough room for a person to walk in, grab whatever tools or parts they may need, and even use the wooden bench to perform basic work. 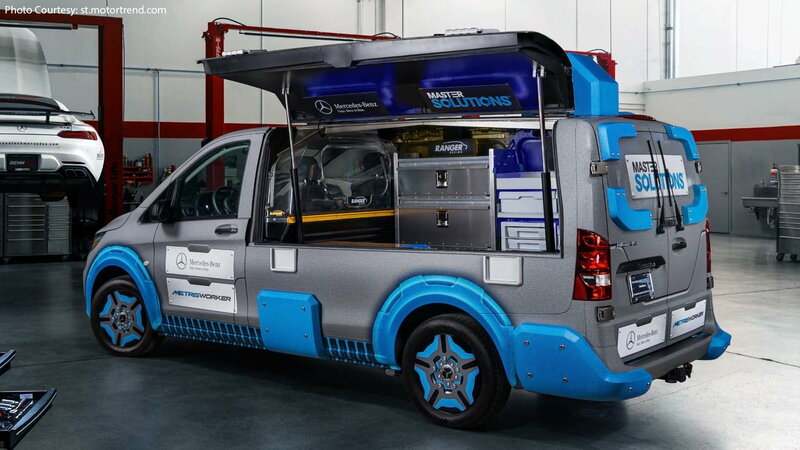 The concept design was supposed to be extremely creative, but many people were disappointed in it, claiming it was a step down from last year's concept from Mercedes, which was the Merc's Sprinter Extreme Concept. The Sprinter Extreme was nothing short of wild. Like it or not, it is no question the Metris concept can make handy-people's lives extremely easy. Perhaps if Mercedes loses the silly tool-box design, and stick with being effective and efficient, like this interior. 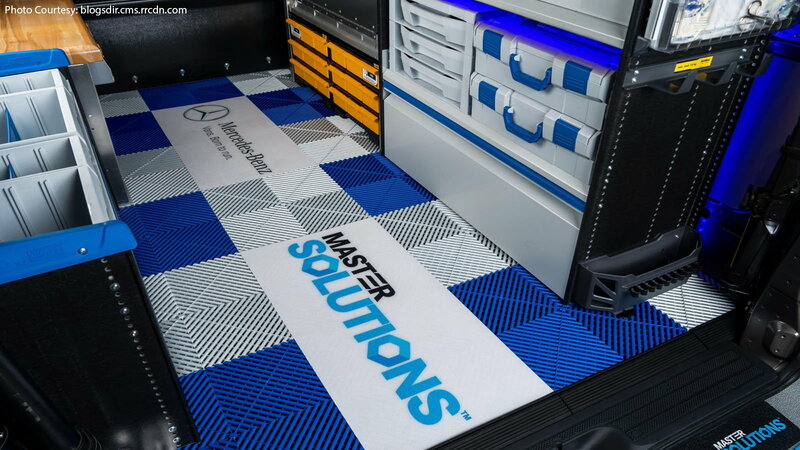 The non-slip mats allow for tremendous traction, and the drawers everywhere makes it a breeze to store everything you may ever need, down to the nails and screws. 7. Would You Buy It? If the concept comes to life and this van becomes available for customers, it could be a great addition to businesses everywhere. With some overhead lights, the back of this van could offer extreme productivity from anywhere, even from the side of the road. The question is, if this becomes available, how many people would jump on it, and how many people would think it's a silly concept?